If you’re looking for a fancy, formal updo to wear to prom, but you don’t have the time or money to go to the beauty salon, then look no farther! This is the hairdo for you. Braided buns are very easy to create and look very elegant. The updo may appear complicated, but anyone can do this! Begin by dividing your hair into 4 sections vertically. 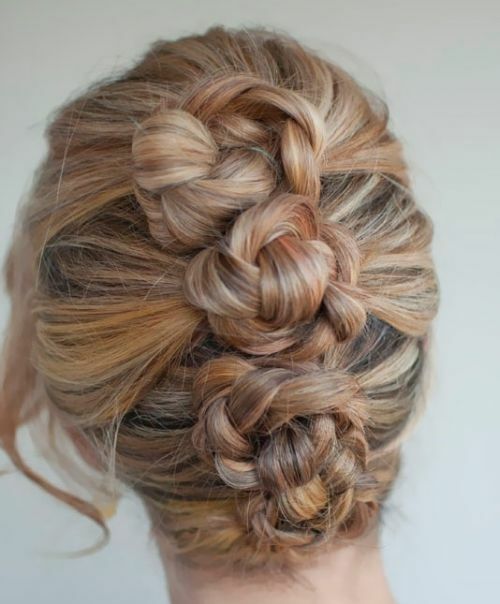 Braid each section and twist each section into a bun. Secure with pins. Allow curly tendrils to hang loose around the face.